Benji (Ben) Knopfler was born in 1987 to Mark Knopfler and Lourdes Salomone. This second marriage for Knopfler ended in 1993. Ben has a twin brother, Joseph. 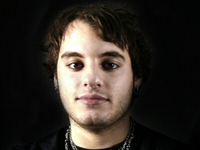 Ben is the drummer for the rock group, The Rocket Dolls.